Electrochemistry has undergone a renaissance in recent years and numerous research groups are currently working on the environmentally friendly production or conversion of molecules. However, despite the superiority of electrochemistry, its application to various molecules has been problematic. The electrolysis of highly reactive substances, for example, has so far only led to the formation of high-molecular weight products, i.e., polymers. This method of production was sometimes even used on purpose as in the examples of polythiophene and polyaniline, the latter also being known as aniline black. 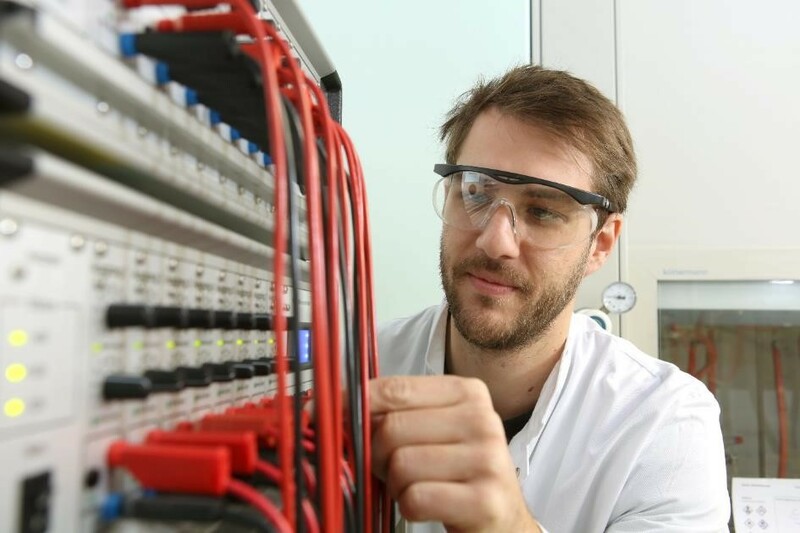 Chemists at Johannes Gutenberg University Mainz (JGU) have now succeeded in overcoming the problem of electrochemical polymer formation and in developing a sustainable and efficient synthesis strategy for these important products for the first time. In order to generate chemical reactions, electrochemistry uses electrical current instead of partly hazardous chemical reagents and thus without reagent waste. This environmentally-friendly method provides easy access to a number of compounds with high chemical, pharmaceutical, and material science potential, such as building blocks for co-catalysts in homogenous catalysis. 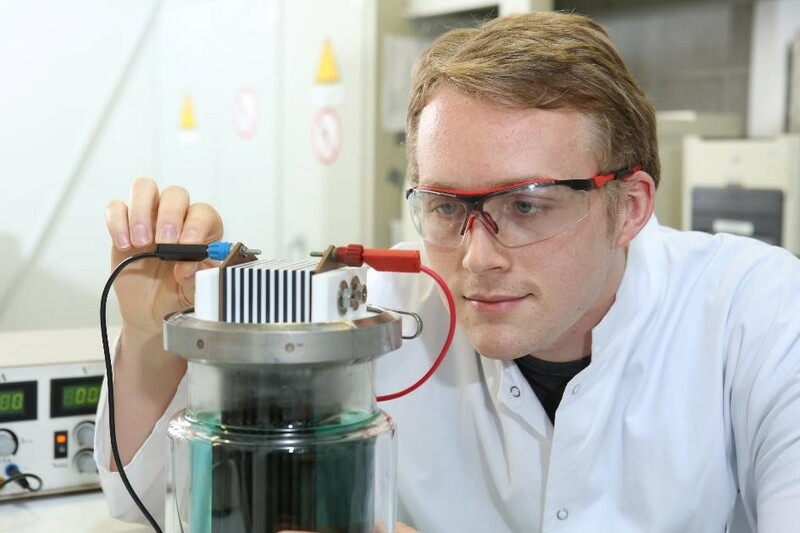 The research group led by Professor Siegfried Waldvogel from the Institute of Organic Chemistry at Mainz University have now developed a method to use this key technology with highly reactive substances. "Working with certain starting substances, electrochemistry always resulted in polymers. Now we can choose to bring together only two building blocks", explained Waldvogel. This strategy was developed in collaboration with Evonik Performance Materials GmbH. However, it is not only the simplicity of this synthesis that is convincing, but also its environmental friendliness. The only "waste" produced is hydrogen, which is known as an environmentally friendly fuel. The key to success here is the use of a unique electrolyte system, which is extremely stable and can be reused after electrolysis, reinforcing the green aspect of this method. In addition, this extraordinary electrolyte is also the source of the high selectivity of these reactions. Therefore, a very simple electrolysis setup can be used. In other words, the scientists succeeded for the first time in carrying out an electrochemical carbon-carbon cross-coupling of thiophenes with phenols. In another experiment, the oxidative cross-coupling of aniline derivatives was carried out, producing selectively a broad spectrum of biphenyl diamines. The papers were published in the journal Angewandte Chemie.